I hate to break it to you, but Christmas is coming! Ok not quite yet but Midsummer is upon us & the nights start to draw in from now. (who else can’t wait for the ‘But its light outside!’ arguments to end)?! 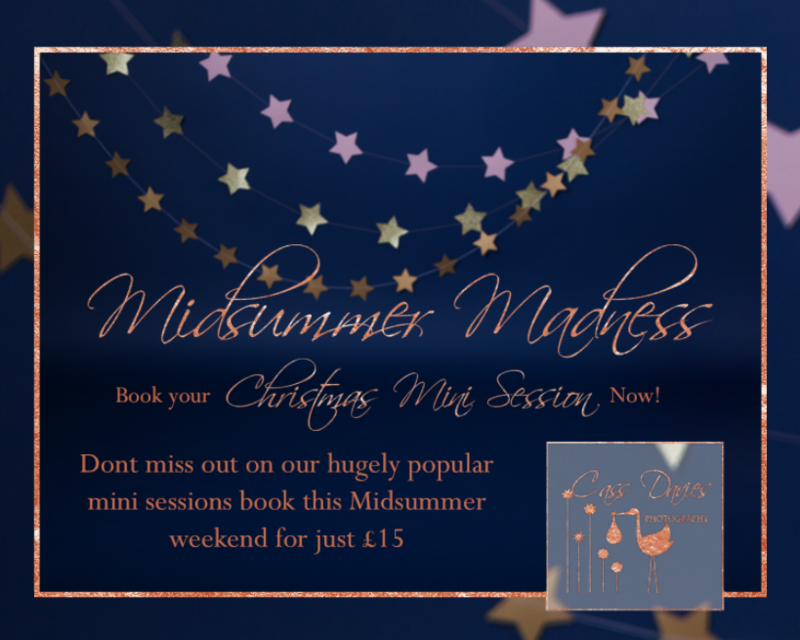 So, this weekend only I’m opening bookings to our incredibly popular festive mini sessions. Whether you love or loathe this inevitable countdown to the end of the year, as we parents know, Christmas doesn’t organise itself! Getting ahead with the planning and prepping is a great way to keep on top of things as the weeks roll by. There’s nothing worse than a last-minute mad panic and frantic dash around the shops is there? I, for one, will be getting organised & feeling mildly smug earlier than ever this year. Will you? If you do fancy getting ahead, you’ll want to know everything about my Christmas mini portrait sessions. 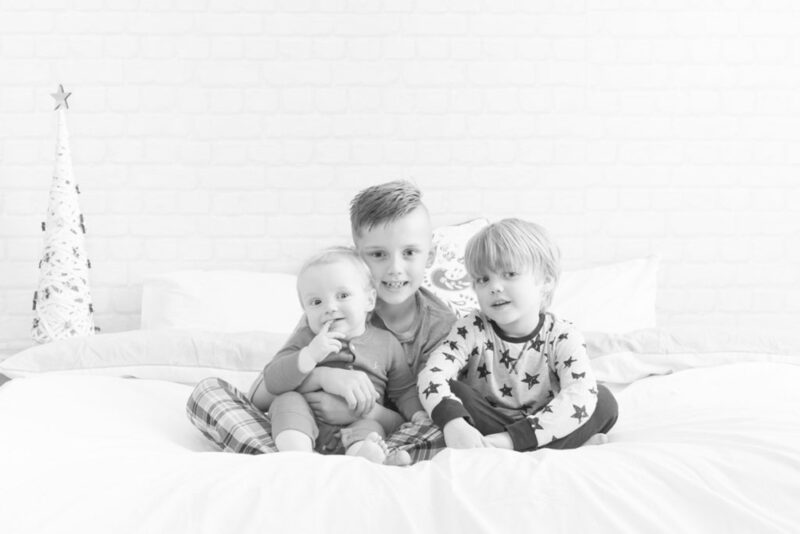 They give you the opportunity to have some fresh and up-to-date portraits taken of the important people in your life which you can use to create personalised Christmas cards or gifts – like framed prints, canvases and wall art. Personalised gifts mean so much more to the recipient than an off-the-shelf pair of novelty Christmas socks, a box of chocolates or another set of toiletries! Which is why my Christmas mini portrait sessions always sell out! My Christmas mini portrait sessions are only going to be held on two dates this Autumn; Sunday, October 28th and Sunday, November 11th and they are available to book now. You can reserve your session for just £15 for your 20-minute slot in the Cass Davies Photography studio in Hawarden, and the £15 you pay to book is credited against your choice of package. Whether you want me to capture portraits of your baby, or of you and your child, or just the kids on their own, I can create beautiful contemporary images that you’ll love. Appointments are perfect for 1-4 siblings, for cousins please book consecutive sessions & we will overlap them. Book your Christmas mini portrait session today! You might not be wanting to start thinking about Christmas yet but, the truth is, the earlier you can get planning for Christmas, the less time you’ll spend stressing out in the lead up to Christmas Day. The Christmas Photoshoot mini sessions are deliberately being held in October and November. So, by placing your order for photo products shortly after the day of your photoshoot, you can rest assured that you’ll receive your goods in plenty of time ahead of Christmas. But remember, there are limited slots available on both days so be sure to grab yours if you’re keen to secure some professional family portraits to use for Christmas photoshoot gifts. If you have any questions about the Christmas mini portrait sessions, please don’t hesitate to contact me on 07788 870400 or email me on cass.davies@me.com.